As mentioned before we all love our pets. But sometimes they give off pet dander. 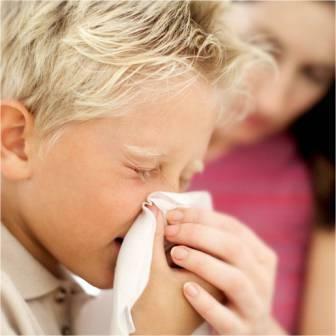 This can adversely affect persons with sensitivities to allergens. By using Tyler Carpet Cleaning you will have access to our proprietary chemicals and our hot water extraction methods that will remove these conditions from your carpet. It will flush them out giving your home a clean smell and free from harmful irritants. East Texas is notorious for yellow pollen and it often finds its way into our homes and carpets. Over time, in the spring pollen collects in the carpets and can no longer be filtered out and becomes airborne in the home. The same hot water extraction methods will remove your home from the pollen collected into your carpets. We use the safest chemicals for those who may be sensitive to detergents used in carpet cleaning. Tyler Carpet cleaning offers solutions such as hypo-allergenic and low chemical cleaning methods. Certain types of detergents and chemicals used in carpet cleaning cause allergic reactions to our clients. In regard to this Tyler Carpet Cleaning has many options available, and certain solutions that are hypo-allergenic, as well as low chemical methods of cleaning. Our products include hypoallergenic, perfume and dye free, and are non-toxic that do not contain volatile organic compounds (VOC) or other harmful materials such as phosphates. If you have children or pets in your home these products can be safely used. ​Many people do not think of their carpet as a filter, but in fact it is. Immagine your carpet as a ventilation filter on your air conditioning unit or heater. This is something that needs to be changed regularly. Clearly, filters are great at collecting allergens, airborne microbes, particles, and debris, and are incredibly effective. But the downside? I they are left too long they can become a breeding ground for bacteria and cause the air to become even more polluted. Due to carpets’ fibrous nature, it acts very much as a filter similar to the ones used in air conditioners and air filtration systems. What is the Relationship Between Carpets and Air Quality? Air is often said to be two to five times more polluted and containing more unhealthy airborne microbes that fresh air outdoors. So, we want to keep this air as clean as possible and try to avoid any problems with our air quality. One of the best ways to do this is by getting our carpets deeply cleaned by professionals. Generally, this is a good thing. Unlike hard floors that don’t have fibrous materials and different nooks and crannies for the airborne materials to settle in, the carpet traps the debris in the air in the carpet and thus improves the air quality. Essentially, with hard flooring, it is able to be kicked back up again by walking about and movement. Carpeting locks the debris within, and most of it can be cleaned with a vacuum and the occasional professional deep clean. ​The problem is that vacuuming alone doesn't remove the particles found in the air completely. They can become too deeply embedding in the carpet na begin to fester and grow, causing irritation. In fact, many allergens can be attributed to poor air quality, and having a dirty carpet can be one of the causes. Be sure to get your carpet thoroughly cleaned out in order to prevent the reproduction and spread of allergens and other irritants.